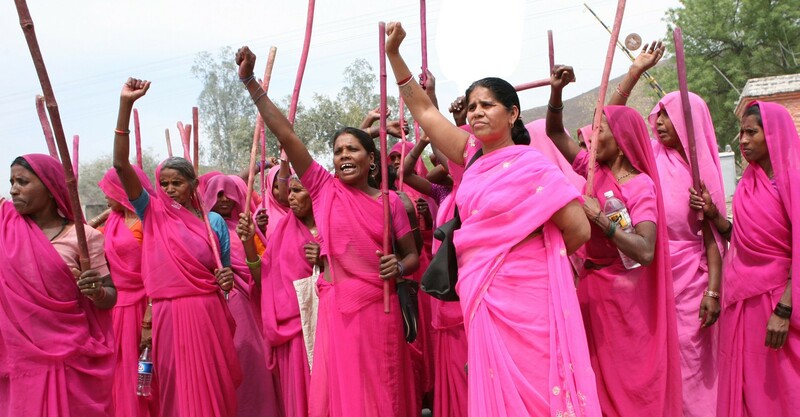 Say hello to the Gulabi Gang: The pink sari-wearing women fighting for justice and equality for women across India. Uttar Pradesh in India is not a great place to be a woman. Quite the opposite in fact. The northern Indian state has high levels of violence against women, who are often failed by the police and the legal system leaving them waiting a long time for a fair trial and justice. 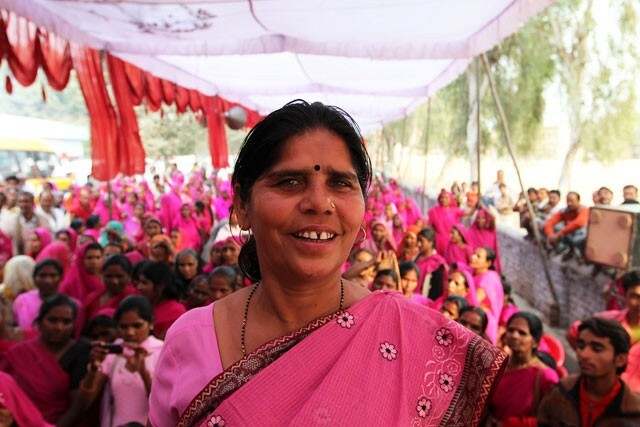 Tired of the poor justice system, Sampat Pal Devi founded the Gulabi Gang, an organisation that aims to challenge the deeply patriarchal structure of her society. 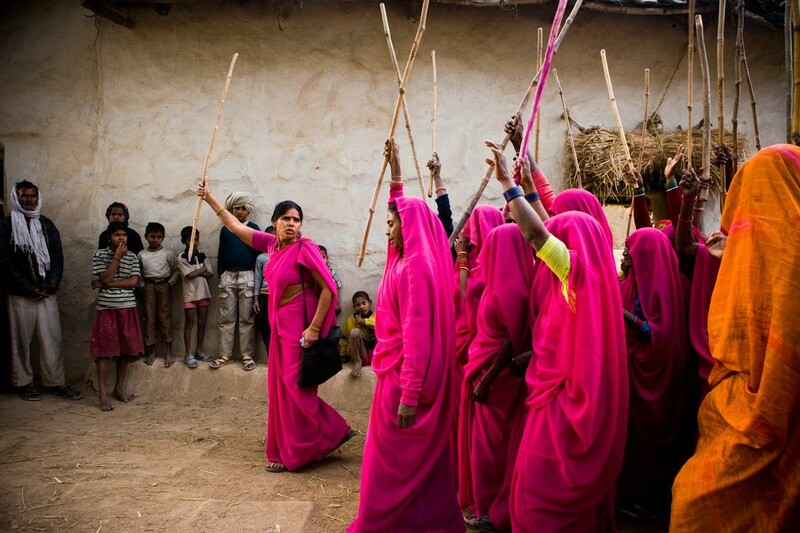 As a group that now boasts 400,000 women who wear pink saris and carry large sticks to beat offenders, they have not gone unnoticed and are making a mark in Northern India. "Yes, we fight rapists with lathis [sticks]. If we find the culprit, we thrash him black and blue so he dare not attempt to do wrong to any girl or a woman again." However, Gulabi Gang isn’t just about beating local abusers. The group’s main focus is on empowering women, promoting equality and challenging stereotypes. This is carried out through several practices including training women in self-defence, persuading families to educate girls and putting an end to child marriage. The Gulabi Gang also hope to empower women by providing them with resources that'll help them gain economic freedom. They organise events with companies where women can be hired. They currently collaborate with a local business, which employs over 500 women and allows them to earn up to 150 rupees a day. Considering only 27 percent of Indian women are in the labour force Gulabi Gang's work is quite impressive. The Gulabi Gang are really taking women’s rights and empowerment into their own hands and are considered a force to be reckoned with across the globe. Although Sampat Pal Devi’s direct approach might be seen as controversial in some circles, there is no denying she is making an impact.